Every month we add artist highlights to the Sculpture Gallery. 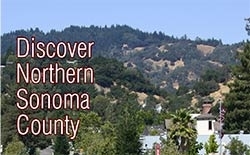 Check back to view the latest! 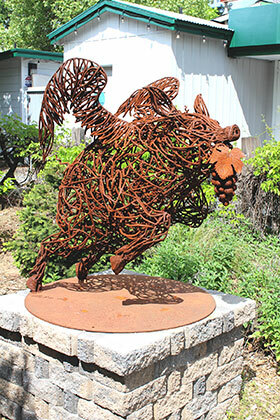 The arrival of new sculptures for the Sculpture Trail is always greatly anticipated in Cloverdale as every sculpture exhibits the transmutation of material and the imagination of the sculptor. 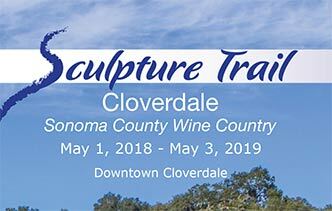 12 new sculptures have been selected for the 2018-2019 Cloverdale Sculpture Trail. As we welcome new sculptures, we also say good-bye to our favorites. 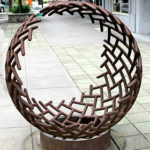 David Mudgett started exhibiting, off and on, in Cloverdale in 2005 and his "Eclipse" sculpture is on display in 2018-2019 exhibit. David built his first sphere 20 years ago and he keeps going back to spheres. As he experiments with different sphere components, both the difficulty in building the sphere and the fulfillment increases. 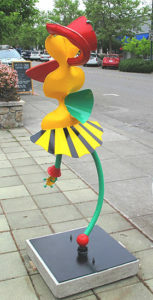 Stan Huncilman has also returned with another of his colorful and whimsical sculptures; this time with "Caprichio", a Spanish word for "whim". The beauty of art is that if a hundred people sees the same artwork, there could be a hundred different ideas and interpretations of the same work. 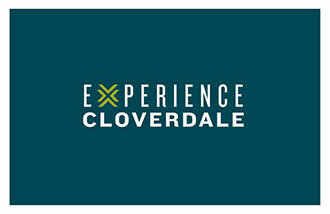 And, what better way to enjoy, embrace and interpret sculptures in our daily lives than in public accessible places, the streets of Cloverdale.